A couple of weeks ago, BW and I went out with a few couple friends of ours; AJ2 and EK. Naturally, we got chatting about food, when they made the most outrageous statement ever: they had found a Persian better than Alounak. This couldn’t possibly be true, there is no such thing! 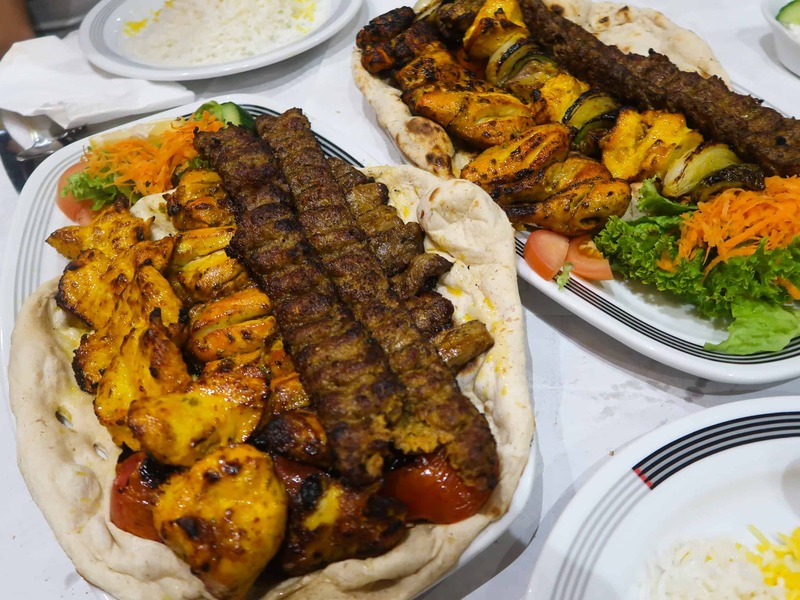 Apparently, Abshar in Croydon is the best Persian in London according to them. Wanting to prove their theory wrong, I planned a triple date as soon as I could. Luckily for EK and AJ2, Abshar was a short ten minute drive away. Unluckily for BW and myself, it entailed a treacherous hour drive across the river, full of wrong turns and road rage. We fiiiinally made it to Croydon and parked up outside the restaurant, ready to take on this challenge. I left the ordering up to them, and hungrily awaited for our feast to arrive! 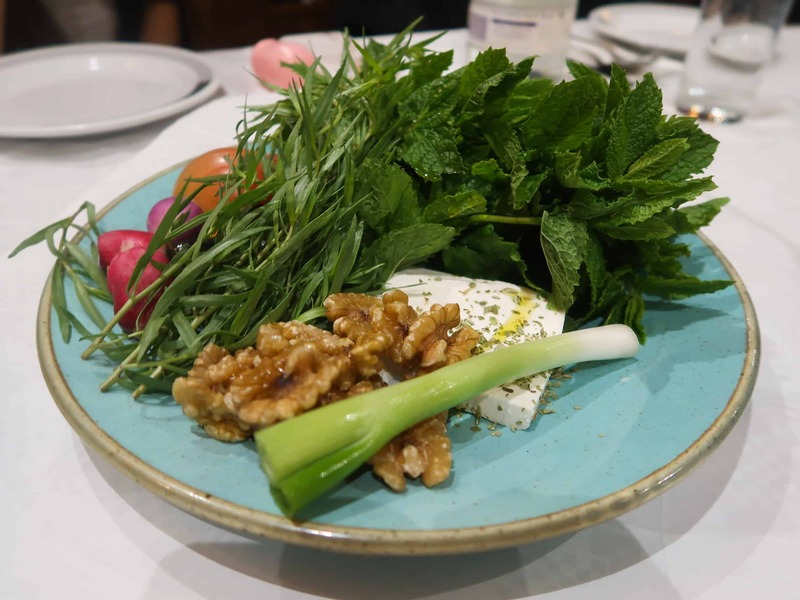 A humongous colourful plate of greens (mint and tarragon), radishes, walnuts, and a hunk of soft cheese. The perfect and lightest way to start the meal. 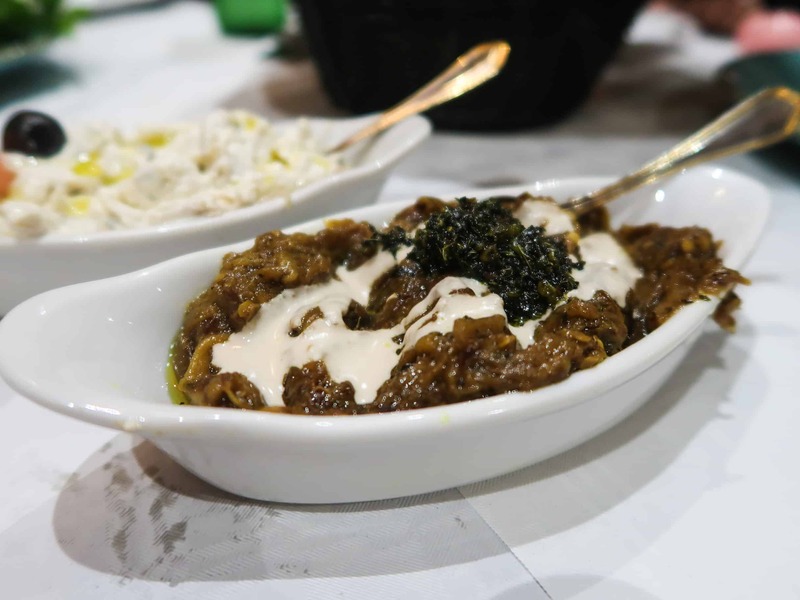 It seems that the table favoured aubergine as we opted for both the baba ganoush (cold dish of aubergine, yoghurt, ) and kashk-e-bademjan (warm dip of fried aubergines, whey, and garlic). Both were great with the fresh, fluffy house naan. 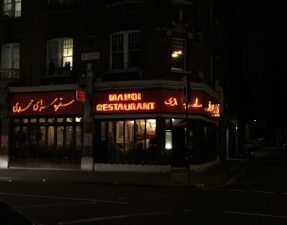 The Mast-O-Mousir was nothing out of the ordinary, but was ideal for the main courses. 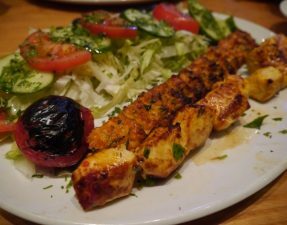 As it was 7 of us, we decided to order one collection mixed kebab (for 2 people) [£22.99], one special mixed kebab (for 4 people) [£35.00], and the kebab bargh (sliced lamb fillet) [£10.99] which was more than enough for table! 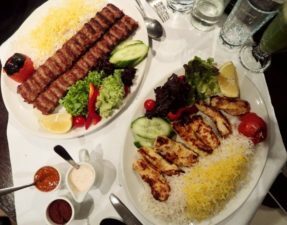 For comparison purposes, I went for the koobideh first. 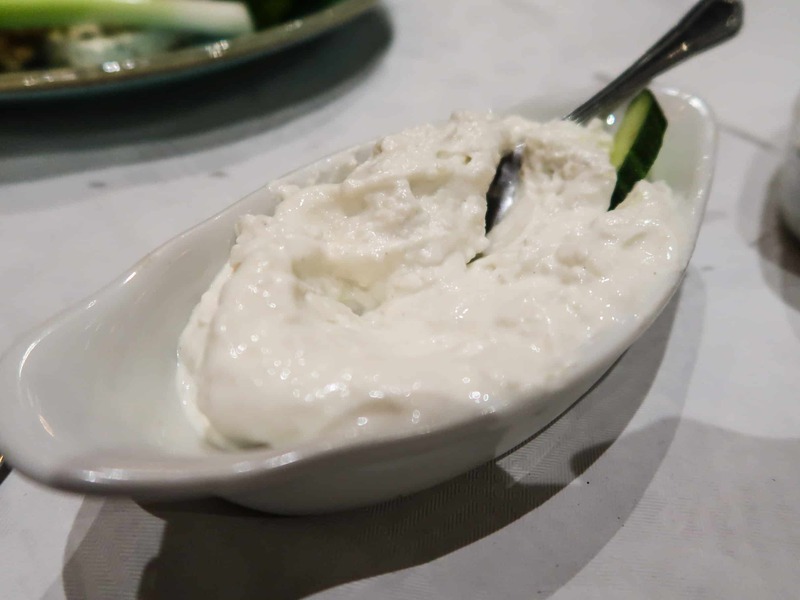 It was soft and packed a good flavour, however it lacked that juiciness that Alounak does so well. The joojeh chicken, on the other hand, was fantastic. 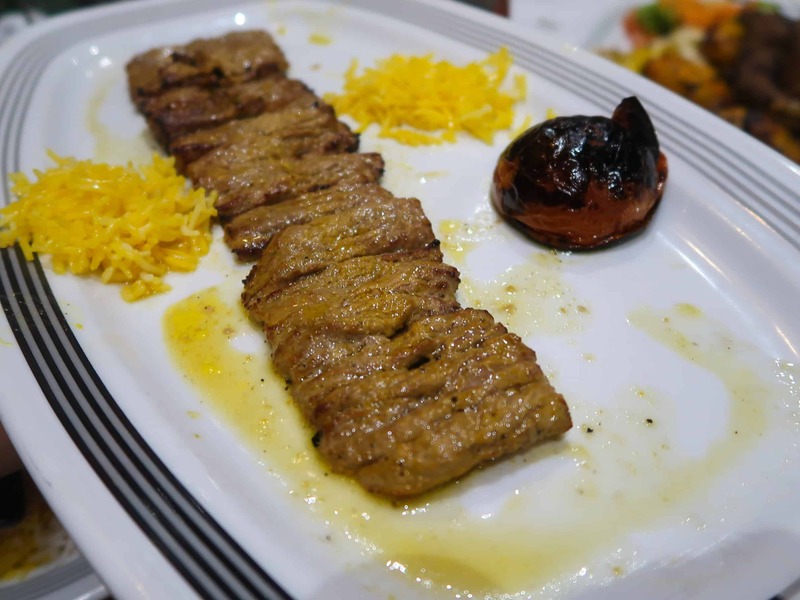 The large pieces of chicken breast had been marinated in a lemony saffron sauce, and placed on the grill to add a nice smoky flavour. It was incredibly succulent and the best joojeh I’ve had in London. The bone-in chicken was just as good. Whilst the chenjeh (diced lamb) was average and quite lamby, the barg (fillet of lamb) was superb; incredibly tender with the right amount of seasoning. But the best part of the entire mixed grill? The naan that had been placed underneath all the skewers, collecting all the lovely meat juices. The total bill amounted to £141.45 for 7 people, so approximately £20 each, including drinks and service. 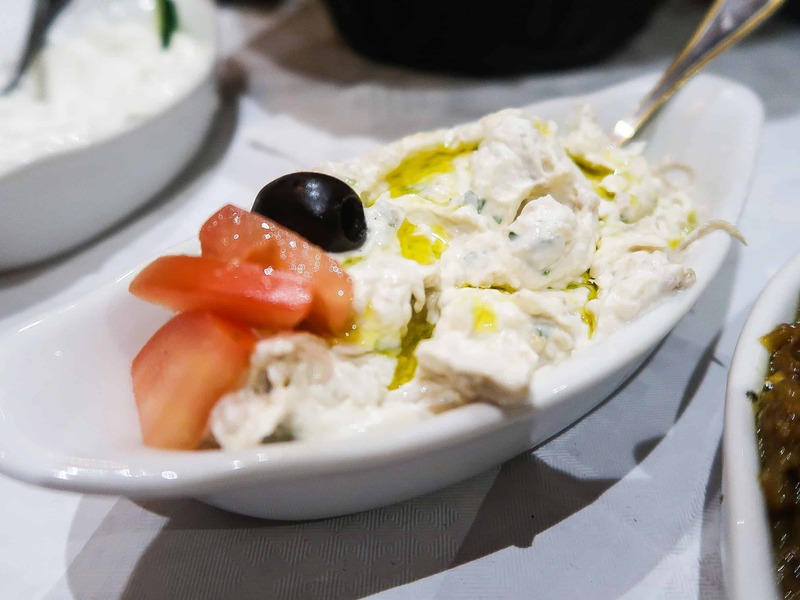 In comparison to other Persian establishments in Central London, Abshar is cheap and cheerful, without compromising on the quality of the food. So, the answer you’ve all been waiting for. Was it better than Alounak? Ooooooh, yes and no. The chicken at Abshar was outrageously good, as was the barg, but the juiciest koobideh does indeed belong to the Alounak. 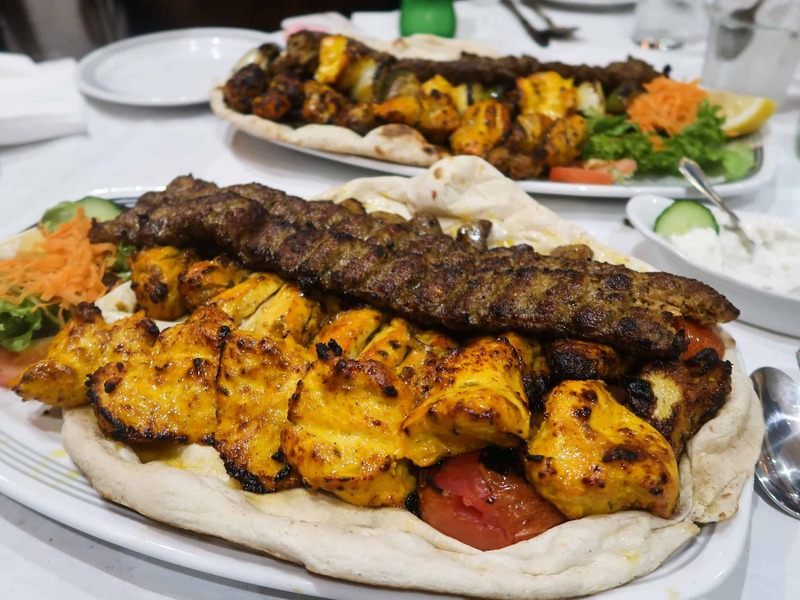 Sadly, Abshar is a little too far for me to become a regular, however it is worth a visit, especially if you are in the area. Hello, is Abshar HMC certified? I have asked a few times and the new management isn’t very receptive to the question.